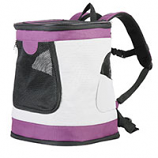 Iconic Pet offers a safe and stylish way for your pet to travel. The Pawings transport crate is compact and pet friendly option for managing pets when on an airplane or while traveling. It is always imperative that the Pet Carrier meets certain airline norms and at the same time provides your pet with utmost comfort and safety during the travel. The Pawings transport cratefrom Iconic Pet meets all the criteria mentioned above and gives you peace of mind while traveling. 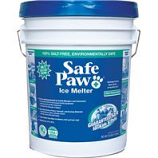 This product is equally appreciated by pet parents as well as the pets themselves. This Product is Ideal for Pets upto 10 lbs. The well-designed FurryGo Car Bench Seat Cover provides basic protection on bench-style seats with head rest. Universal seat belts holes on the bench seat cover also helps accommodate passengers, kid seats while traveling with your four legged companion. 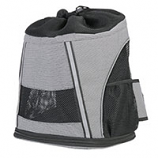 It is also layered with an anti-slip mesh that helps Dogs and Cats without having the fear of slipping or falling off the seat, it also provides a comfortable travel for your pets. Made of durable high quality Oxford it protects your precious car seats from pet hair, dirt, dust and scratches. It is water resistant, machine washable and is very easy to maintain. It can also be easily be folded and put away when not in use. The FurryGo Car Bench Seat Cover has been manufactured by Iconic Pet, creator of high-quality products.